Based on the No Confidence Vote by NEA for the past two years awarded to Arne Duncan, you would think he was the man behind the curtain in the Land of Oz. This surreal classic tale is rife with reality in the Department of Education, and the Neo-Corporatocracy hostage government. 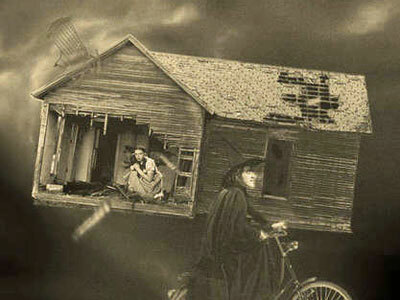 Today I am writing to expose the REAL man behind the curtain of NCLB and RTTT in the Land of Oz. 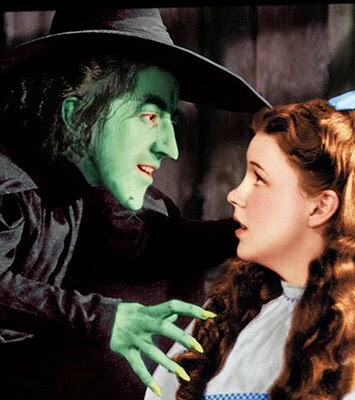 Duncan as "Wicked Witch of the West" and Dorothy as "Public Schools"
Duncan’s role suddenly switches to become the Wicked Witch. Public education is caught F5 storm of century, 2 fronts which have been building pressure like a freight train crashing down on children and teachers, NCLB and RTTT. Who is behind the scenes of this storm? The evidence that backs up my dogmatic thinking came yesterday from a site called AllGov- Everything Our Government Really Does. What is lurking behind the curtain of the Department of Education, NCLB, and RTTT? Who is lurking behind the curtain of OII, pulling the strings of NCLB & RTTT? “James H. Shelton III has served as assistant deputy secretary for innovation and improvement since April 2009, putting him in charge of the U.S. Department of Education’s Office of Innovation and Improvement. In this position, he oversees the $650 million Investing in Innovation Fund. President Barack Obama pledged to prohibit government employees from doing business with former employers. Clearly, James H. Shelton, III worked under the Bush Administration to govern the funding for Bush’s schtick, NCLB, and through the waiver was a hand-me-down to then govern the funding of Obama’s carrot RTTT. 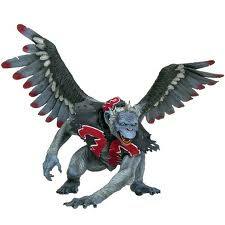 But Shelton is just one of the many Flying Monkeys, leaving Duncan to act as the Wicked Witch. Based on Shelton’s 5 years at the Gates Foundation, we know who the real man behind the curtain is now. Bill Gates is exposed as the man behind the curtain who pulls all the strings for NCLB & RTTT. 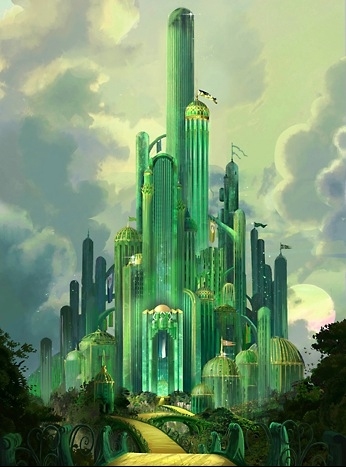 The Great and Powerful Oz, the Wicked Witch of the West, and the Flying Monkeys are still alive, all of them covering the skies of every state in a Murder of Flying Monkeys, snatching up the PUBLIC, locking them up behind the Gates of the Emerald City, forever to be kept out of public education. Truth is stranger than fiction! This entry was posted on Thursday, August 11th, 2011 at 7:34 pm	and tagged with Arne Duncan, Bill Gates, Corporatocracy, Department of Education, DOE, Gates Foundation, Hostage, James Shelton, Land of Oz, Man Behind Curtain, Office of Innovation and Improvement, OII, Public Education and posted in Behind the Curtain of NCLB & RTTT. You can follow any responses to this entry through the RSS 2.0 feed. Your editing, humor, and good writing make a good impact. Thanks for telling me about your blog! Thank you! Please spread the message contained in the work! It is critical that we understand who we are up against! Am getting ready to cross post at Missouri Education Watchdog. However, it seems as if your “allgov” link is not working. Can you fix and let me know when it is working and I will crosspost? Thank you…I will fix the link at some point today and let you know as soon as it is fixed. Is it the MAIN AllGov link or the one to the Office of Innovation and Improvement that is broken, please? Sorry…need to be away from access to fix for most of the day. Thanks again for the follow and look forward to checking the cross post site later! It’s the main one. Just wanted to let you know. It’s terrible when you post and the link doesn’t work. Been there! Hi stlgretchen – I believe I have repaired the link after just returning home. Please check it for me and if it works you should be ready to cross post. I’ll take a look at your site now that I have some time also! Thanks again for letting me know!